For the past 14 years I have suffered from eczema. It tends to be discoid eczema on my forearms and lower legs but I’m also prone to getting it on my hands too. It flares up from time to time and stress, the weather and my diet all seem to play a role. Sometimes using a steroid ointment from the Doctor is the only way to get some respite and allow it to clear. One of the biggest triggers is if I change from my regular laundry detergent, or stay at a hotel when they seem to use quite strong detergents. 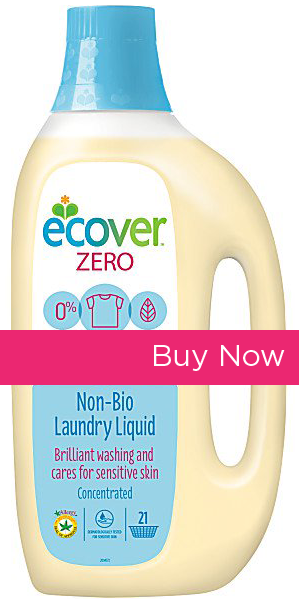 For many years I have been using the Ecover range and in particular I find the Ecover Zero Non Bio Laundry Liquid a great help with my skin. It is totally unscented, which I like, but even the regular Ecover detergents don’t have the strong chemical scent of mainstream laundry detergents, which I find very overpowering. A while back I also recommended Ecover Zero to a friend whose child had eczema all over his body. Although his eczema didn’t clear completely at that time, they certainly felt there was an improvement over other products they’d tried. I have used Surcare from time to time too and my skin seems to get on OK with that, however, I try to go for Ecover wherever possible due to its excellent eco credentials. I have always avoided biological detergents as I believed that the enzymes in them might prove irritating, however, most of the time biological detergents also contain synthetic fragrance as well, so if you do react to the product it can be hard to know whether its the enzymes or the fragrance that are causing the problem. 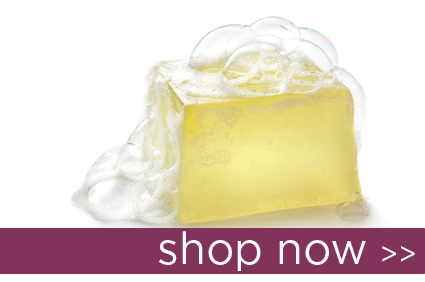 On balance for now my top recommendation for the best laundry detergent for sensitive skin is Ecover Zero Laundry Liquid, and our friends at Big Green Smile UK stock the entire range. Do you agree? I’d love to hear about your experiences and recommendations for the Best Laundry Detergent for Eczema Prone skin, please comment below and share your advice.